Grand Royal Hotel Guangzhou is a magnificent five-star hotel situated in a new prosperous and developing hub of Tianhe-the Dongpu District. 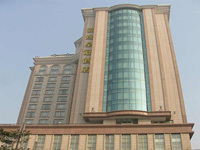 It is a 5 stars deluxe business hotel offering comprehensive hotel service. And it is only a 10 minute-drive from the Pazhou exhibition center. The well-appointed guest rooms features an elegant and majestic European style of decoration. In-room facilities include individually controlled air-conditioning, IC card locks, mini bar, satellite TV and in-house movies, and high-speed broadband Internet. All of these are to ensure guests to receive the royal style of indulgent pampering. Grand Royal Hotel Guangzhou's superb location in the Dongpu district of the city makes it an exceptionally convenient base when visiting Canton Fair. The hotel provides 262 well-appointed guest rooms and suites. 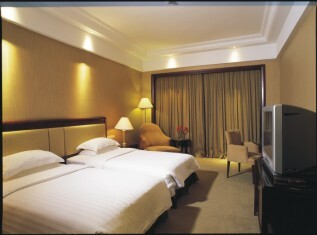 It consists of standard room, superior rooms, deluxe rooms, standard suite, superior suite, and deluxe suite.